This is the application you cannot afford to fly without. SkyRadar provides you with vital flight information that enables you to fly with increased safety. The easy to use map based interface displays FAA flight database airport and airspace information along with terrain information. In addition, the application displays your GPS location, altitude and heading in real-time and allows the user to set destinations based on database lookup or map location. 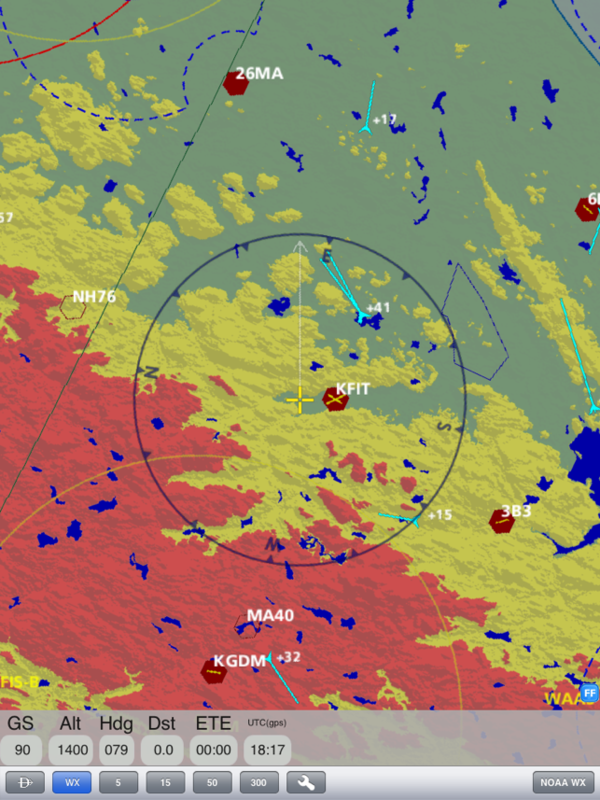 When combined with the SkyRadar ADS-B Receiver, NEXRAD, TAF, METAR, NOTAM and local air traffic data will be sent via wireless connection to your iPad and overlaid on the map display. Please visit http://www.skyradar.net for more information about the SkyRadar ADS-B Receiver. SkyRadar allows for a 1 month free evaluation period where all application features are enabled. After the evaluation period users will be prompted to activate SkyRadar with a 6 month or 1 year subscription for a low cost. The subscriptions provide access to airport and airspace information updates released every 28 days. Without a valid subscription, SkyRadar will operate as normal, but will only display airports with runways longer than 8000 feet. Of course to use this app you need one of the sky radar receivers. That said, having real time in flight tfr and weather info is awesome. Unlike the other adsb products available, with sky radar you are not required to keep paying for updated charts if you don't need them. The app and weather will still work. I have also seen real time air to air adsb traffic targets in skyradar even though my aircraft does not have an adsb out transponder. Pretty cool. I've used the app about 25 flight hours so far with no problems and with the adsb weather info that it provides, it has made trips possible that otherwise would have been delayed. the other review is untrue regarding resolution and types of charts available. If you domt download the charts then if you go offline the resolution will be poor while you are limited to the cache. 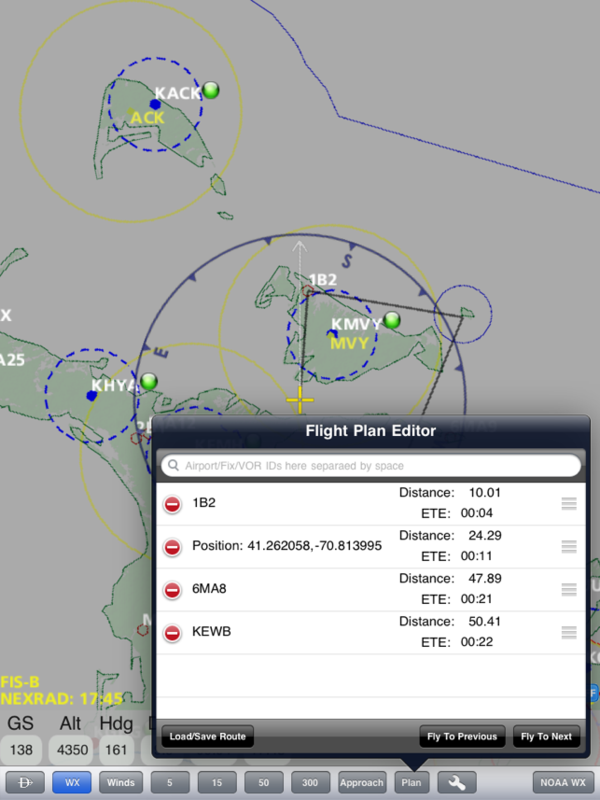 The chart resolution is great for online use and areas that you download prior to flight. you can toggle between sectionals, ifr low, high, Tac, etc. approach plates are also included. 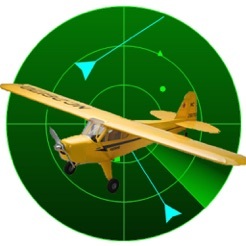 I use this APP for cross couontry flying in 150kt airplane and it is great!! gives GS, terrain,course line, flight plan, everything i needed. It even has, slew to airports, that give all info,i.e. rwy config, type, distance, hdg and dist to arpt, freqs, classb,c,d etc info,etc. I even was able to avoid a MOA that I was about to clip on recent flight. Excellent app, well worth the $25 a year and it saves lots of money over paper charts and is MUCH more convenient. Now I am going to find a way to mount it in my panel, hopefully airgizmo's will come up with something soon. 1. more attention to standard tablet/aviation user directions. 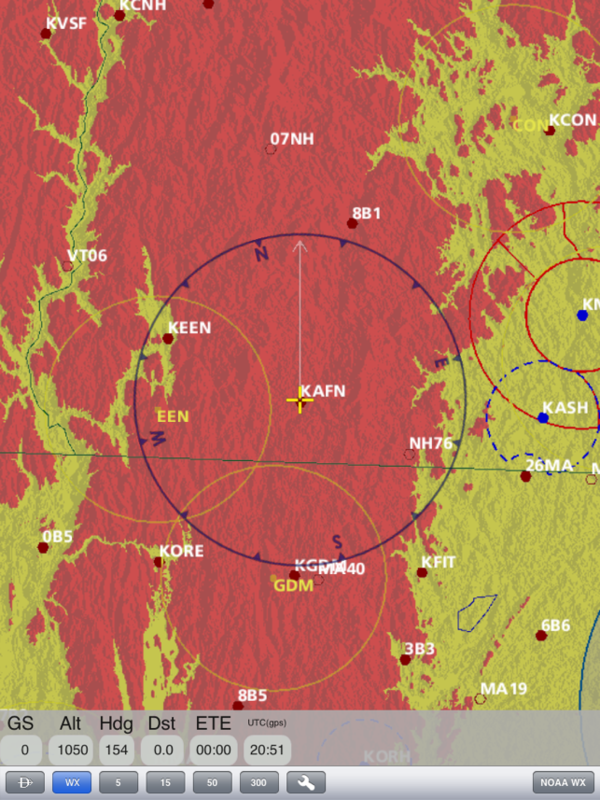 one should be able to tap, say, once on an airport to get METARs and the standard TAF symbol for TAFs in the area. one should be able to, say, tap twice on an airport to get detailed information about that airport. 2. overlay onto maps. 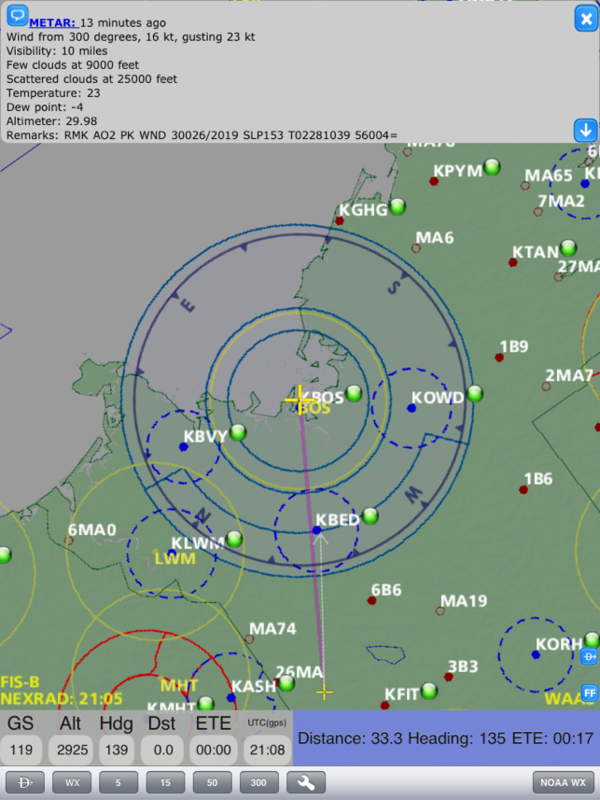 the ADS-B is a powerful tool, but would be better if we could see it on the IFR or VFR maps for better situational awareness. again, the current interface is problematic both in terms of form as well as substance. 3. other traffic. there should be a traffic warning screen akin to the garmin 430 or 530 indicating any traffic within 500 feet, with a direction to look. ADS-B is definitely the future. but this app hasn't yet taken advantage of it effectively.